Hello, Super Bowl Sunday! Sadly, the Carolina Panthers are done for the season, but that doesn’t mean you can’t have friends and family over to watch the big game. 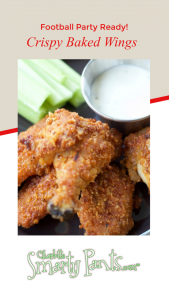 There are a few foods that always remind me of football season and football parties and these baked wings are one of them. My dad was baking wings before baking wings was cool. I didn’t even know that chicken wings were fried until I went to college. True story. These chicken wings have all of the crunchy, crispy flavor you love about chicken wings, but none of the oil. These wings are a house favorite around here and we definitely don’t just enjoy them during football season. They make a regular appearance for dinner, too. 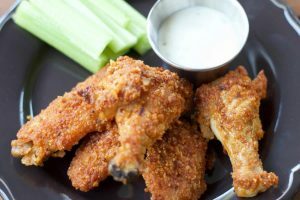 If your kids don’t love spicy buffalo wings, just leave off the buffalo sauce and serve them crispy right out of the oven. 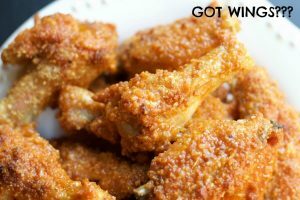 My twins are gluten-free so I make these crispy wings using gluten-free breadcrumbs from Ian’s, but you can use whatever breadcrumbs you have on hand. I like to keep one tray plain and the other tray tossed with buffalo sauce so everyone can be satisfied. Add some bleu cheese and celery sticks and you’ve got yourself an awesome football party snack! 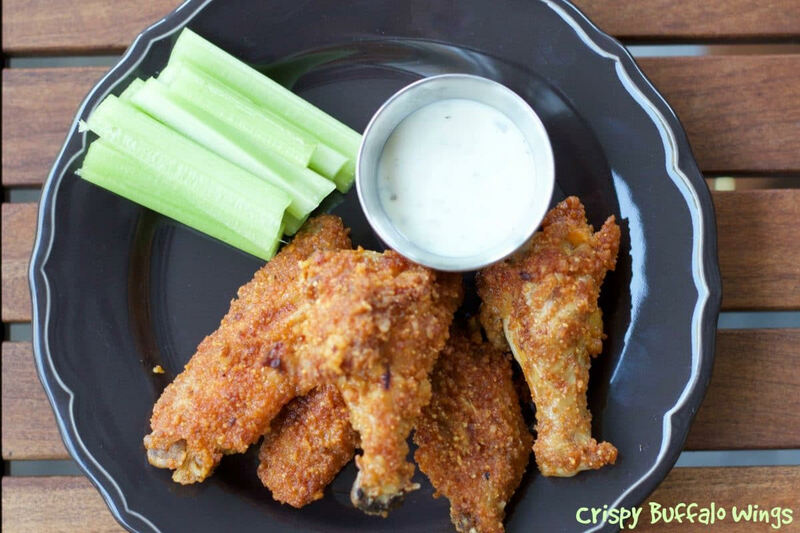 Bake these crispy buffalo wings for a great football game treat! Prepare chicken wings or buy them prepared. Remove wing tip and separate each wing into two pieces. Combine flour, breadcrumbs, and salt and pepper. Using a large bowl or large gallon bag, toss the chicken wings in the breadcrumb mixture. Line 2 cookie pans with foil and spray with non stick cooking spray. Gently place each wing on the foil. Leave a little space between each wing. Cook for 60 minutes. Remove from oven. Combine butter and hot sauce in a large saucepan or deep frying pan. Melt, stir. Add 1/2 the cooked wings into the pan. Shake to coat evenly. Remove from sauce. Serve with bleu cheese and crispy veggies! Presenting the Smarty Favorite Things Giveaway Winners!